The DeSoto Chamber of Commerce will host their annual candidates forum Tuesday, April 11, 2017. Prior to the event there will be a meet and greet at 5:45 p.m. As in years past, former DeSoto ISD Trustee member Kenzie Moore will serve as moderator. 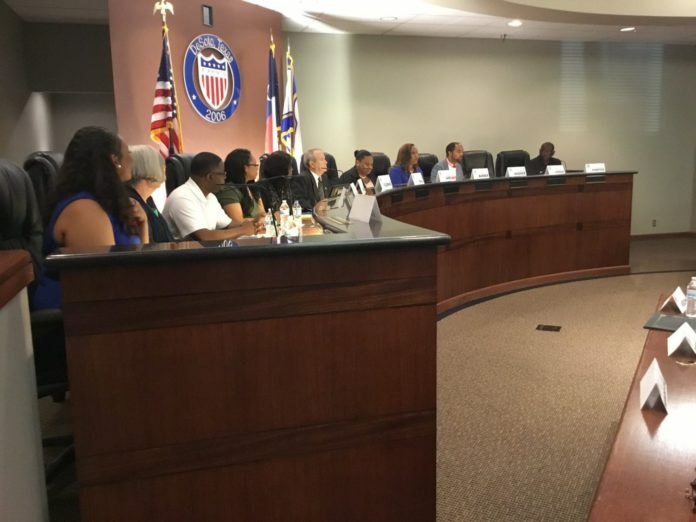 Set for two hours, the candidates forum will take place at Valley of Faith Christian Center, 2100 N Hampton Road, at 6 p.m. In the City of Desoto, the school district seats up for election include Places 3, 4 and 5. Currently in those seats are Karen Daniel, Jerry Hall and Aubrey C. Hooper respectively. A 40-year resident and retired teacher, Daniel will run again against Jeremy Woods, a Governmental Information Specialist who has lived in DeSoto for seven years; Van Stripling who has lived in DeSoto since 2005 and is a business owner and Demetric ‘Dee’ Brown, a senior analyst who only indicated he has lived in Texas 20 years, but did not confirm how long he has been in DeSoto. Real estate broker Hall hopes to keep his Place 4 seat against Tiffany M. Clark, DeAndrea Fleming, and Krystal Denise Sams. Incumbent Aubrey C. Hooper in Place 5 has lived in DeSoto 14 years and is an educator. He will meet challengers Darrell W. Porter, A’Londa L. Barber and Laneshia Jordan. 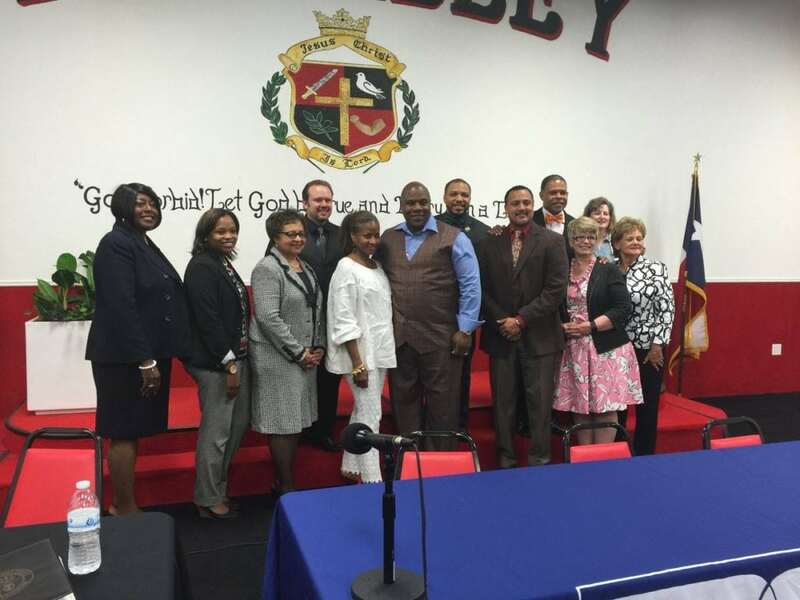 DeSoto City Council and School Board candidates gather after the 2016 DeSoto Candidates Forum hosted by the DeSoto Chamber of Commerce. There has been no word on a candidates forum for the Lancaster ISD school district. In Lancaster, Board of Trustee seats up for election are District 4, 5 and 7, which are now filled by La Rhonda Mays, Ty G. Jones and Ellen Clark. Both District 5 and 7 saw no challengers to the current incumbents. However the Place 4 La incumbent will be working to keep her seat against challenger Daryle Clewis. There will be no Lancaster or DeSoto City Council elections as the candidates for open seats in both cities are running unopposed.